I am past due to be talking about air troops. I’d like to start off with a discussion of a ground-air hybrid attack - Boxer Giants and Night Witches, what I call “GiWitch”. The Night Witch can be a bit of an unpredictable troop. Sometimes, she does exactly what you want while other times the pack just goes awry for no readily apparent reason. Back at BH6, the NW came into her own at L12 with the Mitch attack strategy (Beta Minions and Night Witches). That worked well through early BH7 until Drop Ships took over and carried us air benders into BH8. BH8, though, rejuvenates the Night Witch by adding yet another camp. That additional camp allows you take a whole bunch of Night Witches along with your tanks. Things REALLY get interesting, though, when you get Boxer Giants and Night Witches to level 16. Level 16 Boxer Giants adds one unit per camp while level 16 for the Night Witch brings more Bats to the party. That means LOTS of new fun. Night Witch attack strategies tend to be a bit spammy, but it’s not all spam - you have to identify the right deployment vectors for both your tanks and your Night Witches. What’s more, you have to manage your tanks carefully to keep the Night Witches alive. They’re still pretty weak and highly susceptible to a centralized MultiMortar. Likewise, the Bats fall quickly when fired upon by air-targeting defenses, especially the Roaster. The key to successfully using any troop at BH8 is knowing when to use the right strat. For GiWitch, I prefer to use the strat against home-brew box bases, diamond bases with the MultiMortar at the top, and most base designs where the MultiMortar is easily accessed. This strat also works particularly well against bases that are fairly open as the Boxer Giants can get to defenses quickly and easily (especially the MultiMortar). I also like using it against bases where the MultiMortar is under construction. GiWitch is not a top-level attack strategy at the time of this article/video. It does, however, work VERY well between 3000-4500 and I’ve heard lots of rumblings about Night Witch usage throughout the 3000s. On my KussVonNacht account, this is the only strat I’ve been using for a couple weeks now and it is hovering around 4000 trophies on just three daily loot attacks and nothing more. My win:loss ratio with GiWitch is usually 3:2; that’s a 60% win average which means I’m not spending an eternity on attacks either. You can run GiWitch as a 3/3 or 2/4 (Boxer Giants/Night Witches). I’ve found that - in most cases - a 2/4 comp is perfectly serviceable. The only time I run it as a 3/3 is if I’m going against a stronger base - one with more mature defenses - and additional tanking is going to be needed. That’s usually not the case, though. 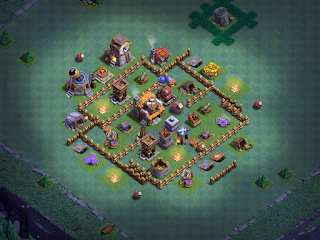 Many players have resorted to strategic placement of MegaMines to disrupt Night Witch attacks at the trophy ranges where they are prevalent (3000s). As such, I start the attack run by placing Boxer Giants along the trajectory of the Night Witch deployment, usually 3 of them in a triangle-like pattern for corner deployments or 4 in a straight line for edge deployments. Once they’ve cleared a few inches of the corner/edge, I drop the Night Witches. The strength of the Night Witch is in her Bats. It’s fun to watch umpteen Bats just pummel a defense into oblivion. This is why the corner deployments work so well - you can drop all of the Night Witches together and send this huge swarm of Bats into the base, working together to take down whatever is in their path. Against some box bases, you’ll want to run an edge deployment; keep the Night Witches in a straight line, maybe half an inch apart, and you still get the benefits of the swarm. Choosing the deployment vector is always a question. For me, it will always be the attack vector that gets to the MultiMortar the fastest. In my experience, the MultiMortar is hands down the biggest threat to this attack strategy - get it down early and you stand a good chance of success. Once the Night Witches are on the ground, you need to carefully manage placement of the tanks. No two ifs, ands, or buts about it - when the tanks go down, the Night Witches follow soon thereafter. Trickle Boxer Giants in to keep the MultiMortar focused and distract key defenses away from the pack Night Witches. The Battle Machine will help here as well, but hold back on deploying him until a bit later in the attack - let the Boxer Giants do the initial tanking work for you. If you can get the Giant Cannon out of the way before deploying the Battle Machine, that will further increase your rate of success. Most of my GiWitch attacks end in under 2 minutes - many in 1.5 minutes or less. As I mentioned earlier, my win:loss ratio with this strat is 3:2; I mark a 60% win ratio as very satisfactory.